A creation emblematic of the spirit and energy of Prada Luna Rossa. Inspired by the challenge of extreme sailing, Prada Luna Rossa Eau Sport reveals a dynamic character to redefine lighter Eau de Toilettes with warmer radiant notes. 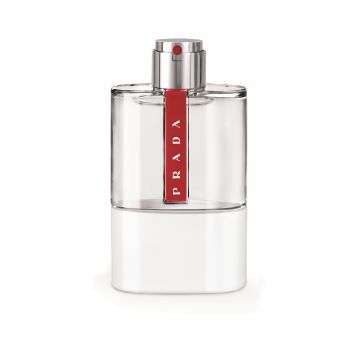 The bottle, solid, white and imposing, cuts a powerful yet calm presence, while the iconic red Prada stripe represents the urge to pursue excellence. Built around six timeless ingredients, Prada Luna Rossa Eau Sport captures the essence of true innovation, competition and the power of nature.